So the recent Legionnaires’ Disease Outbreak in Flint, Michigan has been getting quite a bit of press recently. For example in the last few days here are pieces from The Atlantic, The Washington Post, and CNN. The very short version of the story is that over the last couple of years, Flint has seen a huge increase in the number of Legionella cases in the area. This correlates with a switch from using from Lake Huron water (via Detroit) to using water from the nearby Flint River. That switch clearly caused a number of issues due to iron and lead in the water… but it’s not clear if the Legionella outbreak is directly related. Many of the news stories seem to mash together things like color and smell of the water (presumably unrelated to the risk of Legionella infection), the water quality issues, and the outbreak. 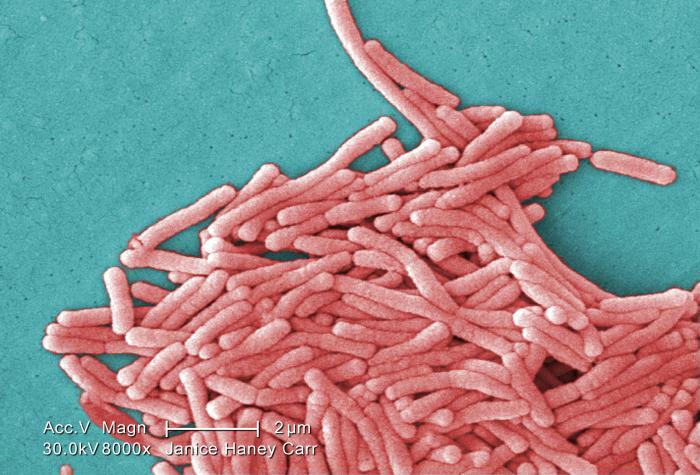 So Legionella has a well-deserved reputation for being very hardy… it can hang out in really tough biofilms and can also hide inside its natural host (amoebae). I’ll bet that many building water systems play host to Legionella biofilms at some low (undetectable?) level and in a way that doesn’t present much of a health risk. But if you radically change metal concentrations and send corrosive water through those pipes, perhaps it dislodges those biofilms… putting the bacteria into the water such that they can then be aerosolized in showers, air conditioners etc. and infect people. Some people think that we’re exporting most of our environmental woes. Coal to China. Wars in the Middle East. Depleted polar ice caps. But in fact we’re raging environmental racism and classism right here at home. From mountaintop removal in West Virginia, genocide of the Dine in so called Arizona at the hand of Peabody, as well as the the historical atrocities akin to the Love Canal in New York to Three Mile Island in Pennsylvania. When will we learn? The rich are benefiting while we’re paying with our lives. This has got to end. Could be that high levels of iron cause regulation of virulence genes in Lpn. Recent paper on iron and Lpn http://www.ncbi.nlm.nih.gov/pubmed/26000653.